Borgward will begin German assembly of an electric BX7 SUV in 2018. FRANKFURT -- Borgward, a storied German brand that is being revived with Chinese backing, plans to open a factory in Germany to build 10,000 cars a year. The company, once Germany's third-biggest automaker, is returning to its former home, the north German city of Bremen, where it plans to build its BX7 electric car from semi-knocked-down kits starting in 2018. "Production will be designed to be flexible and organized in such a way that we can adjust — and thus increase — production output and the number of models," Borgward CEO Ulrich Walker said in a statement. Borgward said it was not just the "emotional argument" that has attracted it to its former home. It cited Bremen's good logistics' connection to the Bremerhaven port, the ready availability of skilled workers, and the region's strong supplier industry as reasons for the decision. The automaker said Continental, Kuka, Schaeffler, SKF, BorgWarner, Webasto, and Robert Bosch are all suppliers that will "play a major role" in the future assembly of its EVs in Germany. Batteries will be supplied by LG Electronics, it said. Borgward currently builds combustion-engined variants of the BX7 in Miyun near Beijing. The German plant will be its first factory outside China and the European base from which the automaker intends to roll out the BX7 EV and later, electric and plug-in-hybrid variants of BX6 and BX5 SUVs. An exact location for the plant will be decided in the coming weeks, the company said. Borgward collpased in 1961 after building about 1.2 million Borgward, Lloyd, and Goliath vehicles in Bremen from the 1920. The company's revival is funded by the state-owned Chinese truckmaker Beiqi Foton. Borgward has hired executives from Western automakers including Walker, a former Daimler boss in Asia, to help its revival. 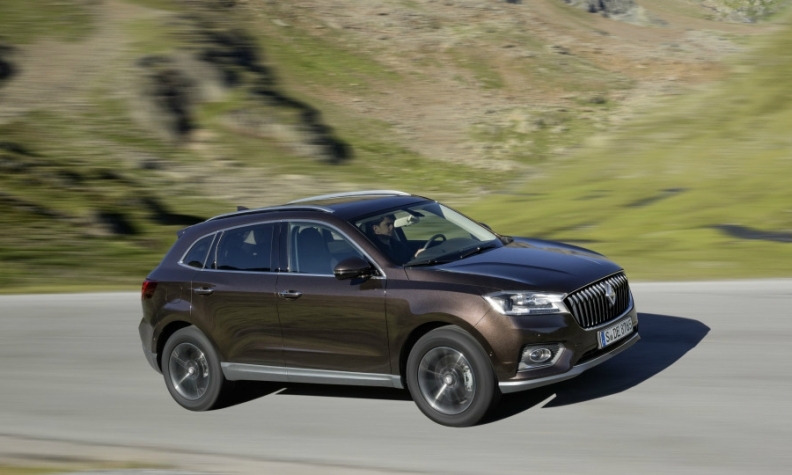 Borgward will sell only electric and plug-ins hybrid vehicles in Europe in similar strategy to Lynk and CO, which plans to sell cars in Europe developed with Volvo. Lynk is targeting Germany as its main European market.